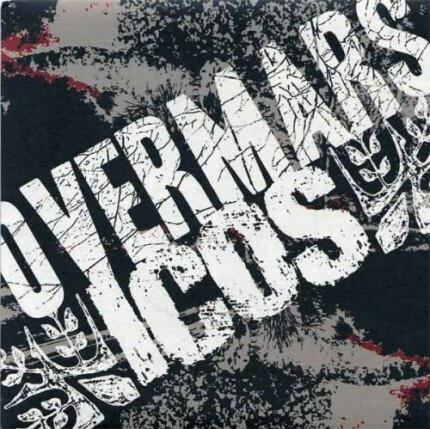 Related links to "Icos / Overmars - Split EP"
Pressing Details: 300x white + 700x black Vinyl. ICOS from gothenborg, sweden are back with a new song of powerful, devestating and intense music filled with tuned-downed guitars, thundering drums and over the top vocals that molds together with more quiet, ambient parts. Both music and lyrics are delivered with talent, ambitiousness and a never-failing integrity. Expect inspiration and influences that range from Neurosis, Catharsis to His hero is gone and Kyuss to Isis. www.myspace.com/icosonline | www.icosonline.com! OVERMARS from Lyon, France comes along with a perfect slab of music. the vocal attack is superb. the instrumentation is perfect! it's a great, trance inducing section of music. the heavy vocals, the slow, pounding rhythm, the ambient touches, the way the bass creeps in has the old Venom tone. The guitar interplay with the electronics during the long, methodical building process is spot on. the next vocal section is utterly downtrodden - perfect for the music which has sort of a NEUROSIS/SOULS AT ZERO being dismantled feel. the music has a real elastic quality here with the slow drum count, the jangly guitars and the flopping bass string tone. nothing but high praise from me on this song!! !